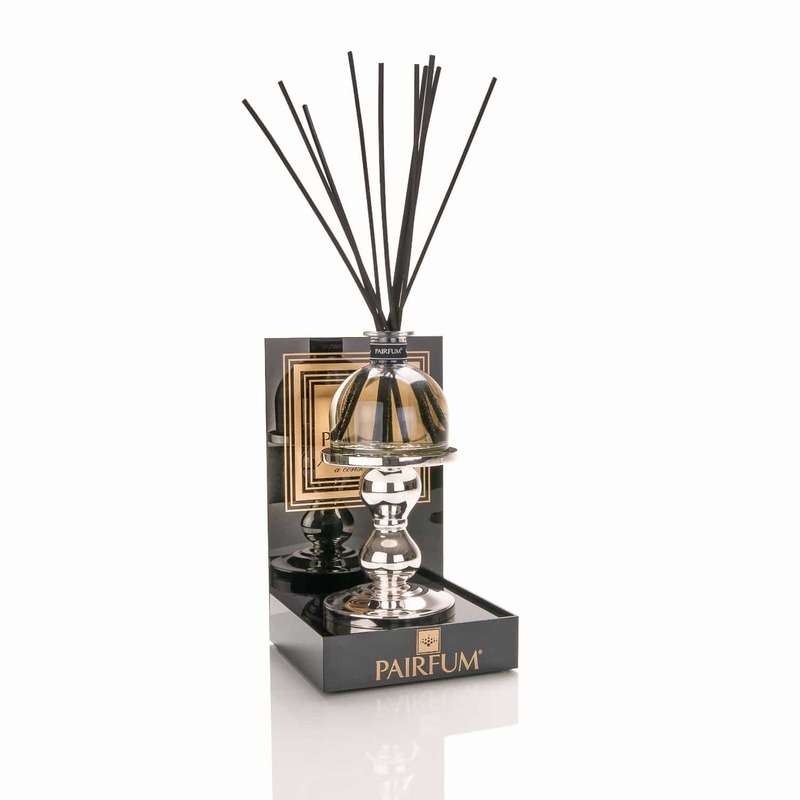 Create a stunning display by transforming your PAIRFUM reed diffuser or candle into a centrepiece with this pedestal. Size: 76 mm diameter x 128 mm tall. A rim prevents your reed diffuser / candle from sliding off. Reed Diffuser Pedestal or Scented Glass Candle Holders? Create a stylish focal point in your home with one of these luxurious and aesthetic glass candle holders. They are suitable for both perfume reed diffusers and luxury fragrance candles by PAIRFUM. They will look magnificent on any coffee table or cabinet, regardless of whether they are used as beautiful reed diffuser pedestals or stylish scented glass candle holders. Either way, they become the focal point of a room will undoubtedly attract compliments from friends & family. In that respect, they are rather like platforms with their transformative effect on the display of your diffuser or candle. Frequently, perfumed candles or diffusers can be found out of the way on windowsills or fire surrounds. Instead, with PAIRFUM’s silver-plated tall candle holders they turn into Objets d’Art and become ‘center stage’. These pedestals or glass candle holders add a touch of boutique luxury to your home. much more robust than a similar items made from glass, especially tall candle holders. Please note, these pedestals or glass candle holders are sold on their own. They do not include either a candle or reed diffuser. Images showing a candle and/or reed diffuser are merely for illustration purposes highlighting the multiple uses of the product.